We loved the adventures of Jacky Faber! The descriptions of the Black Plague are graphic, but a springboard for a discussion of the era. We have begun our own high seas adventures with Jackie, following her throughout all the sequels. Ms. Kellgren does a FABULOUS job narrating and has an INCREDIBLE talent for oration, fluency and dialect. I feel fortunate to have her reading style as a role model for my children. Through a series of fascinating events, Homer's older brother has been illegally sold to the Union Army. It is up to Homer to find him and save him. 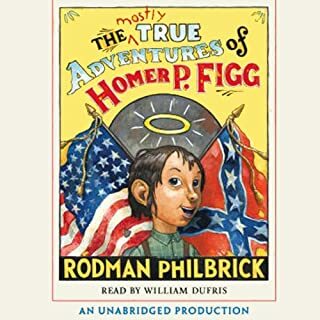 Along the way, he encounters strange but real people of that era: two tricksters who steal his money, a snake-oil salesman, a hot-air balloonist, and finally, the Maine regiment who saved Little Round Top at the Battle of Gettysburg and won the war for the Union. I wish the kids in my daughter's class could have read this book instead of "Across Five Aprils"! It is funny, insightful, tragic and an all around good time. Mr. Philbrick manages to portray the naivety of youth with the harsh realities of war in an accessible way for all readers. I highly recommnend this fun, face paced book. 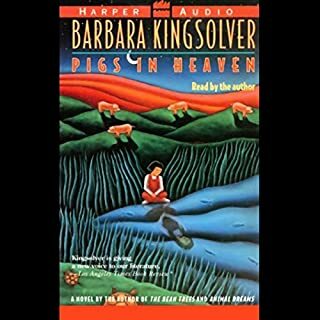 In Heaven, Oklahoma, pigs are both edible and inspirational! The story begins when a 6-year-old named Turtle is the sole witness to a freak accident. As a result she and her adoptive mother, Taylor, have a moment of celebrity that changes their lives forever. After seeing them on television, Annawake Fourkiller, a young attorney for Oklahoma's Cherokee Nation, claims that Turtle was improperly taken from the tribe. This was a great book. We picked it after listening to Pam Munoz Ryan's "Becoming Naomi Leon". While the book is well written and narrated, there is one scene that my kids were shocked at and we had to fast forward past it. Overall we enjoyed the book, just be careful. This reminded me of an American rendering of England's Bertie and Wooster. 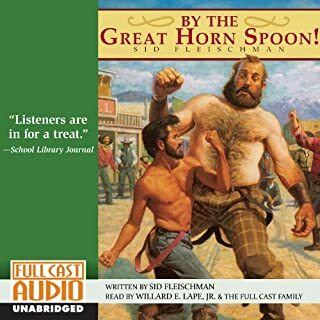 Sid Fleischman delivers a fast paced story while the folks at Full Cast Audio once again prove their magic touch. A great story for the whole family. Skate Tate has a good life. She has close friends, a loving family, and her beloved Great Uncle Mort. 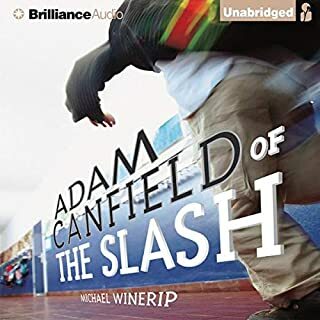 However, Skate has to figure out the new world of Biddle Middle, where eighth graders rule, old friendships start to change, and a sixth-grader has to struggle to make a place for herself. Then other, more painful changes arise for the Tates. This story of how this close knit family responds to tragedy will move and delight listeners everywhere. The biggest disappointment about this book is that Ms. Danziger passed away before she could continue the series. I consider it fortunate to have this entertaining remembrance of her great talent. I had high hopes for this novel. It's sluggish beginning to it's hohum ending was not in my taste. My kids enjoyed it, but didn't ask for another book in the series. 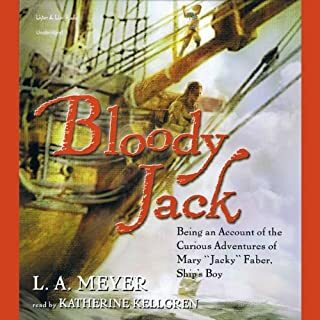 Jacky Faber, Bloody Jack, is back, and this time, she's facing a situation far worse than a ship full of murderous pirates. 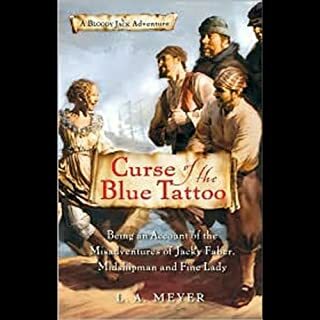 Curse of the Blue Tattoo, L. A. Meyer's sequel to the enormous popular Bloody Jack, is just as bawdy and entertaining as the original. Nice story, extremely well read! Once again Katherine Kellgren delivers a first rate oral presentation of 'Jackie Faber'. She delivers a full cast rendering in one voice of LA Meyer's incredible literary talent for kids and adults. My kids, 8 and 11, have boycotted all other books until we finish the series. My 8 year old got so excited she was reading ahead in the book, and my 80 year old parents have requested the sequels for Christmas! 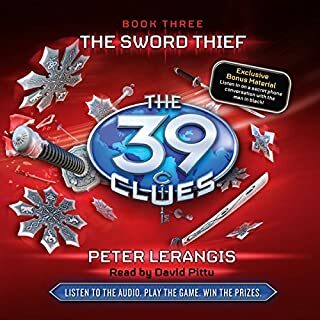 Many thanks to Audible for making the series available. It doesn't seem likely for twins to have the same middle name. Even so, it's clear that Castor and Pollux Stone both have "Trouble" written in that spot on their birth certificates. Of course, anyone who's met their grandmother Hazel would know that they came by it honestly. We listened to this one on a nine hour drive almost straight through. We didn't enjoy it as much as some of our other choices, but we didn't stop the tape either. There were a lot of familiar episodes that were reminiscent of the old sci-fi movies that I enjoyed as a child. 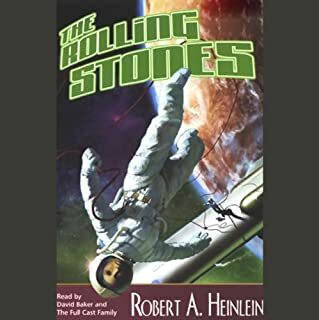 My kids liked it but didn't love it and haven't requested anymore Heinlein novels. If you loved the "National Treasure" movies you're gonna love this book. Listening in the car allows us to discuss the history and clues and to stop the tape from time to time to try to predict what will happen next. 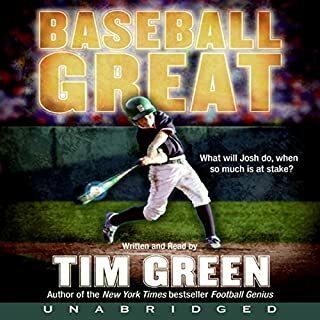 Audiobooks have been great for keeping our commutes free from arguments, increasing our vocabulary as well as our basis for learning literature. My kids loved this book and we are looking forward to the next one coming out in June.